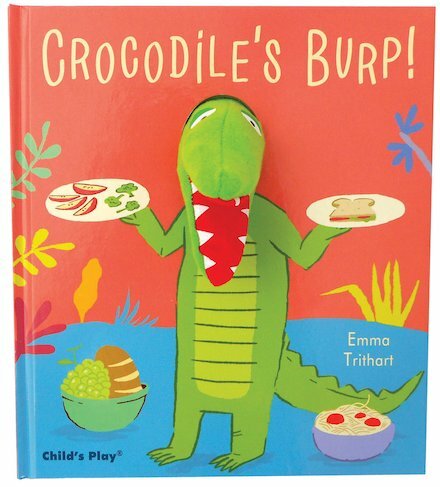 Use Rewards for Crocodile's Burp! Heaps of cheeky fun with a snappy hand puppet! Will Croc ever change his terrible table manners? Yuck! It’s a fine day, and Crocodile and his friends want to have a picnic. There’s just one problem. Greedy little Crocodile hogs all the food. Gollop! Slobber! Burp! Gosh: he’s being disgusting! Can this rude crocodile’s friends put up with his awful manners? Or will they leave him to have his picnic all by himself? Move the puppet through the holes to tell the story!